A relevant, attracting image (not in here). Button linked to action (not in here). We will illustrate using advanced custom fields (ACF) in content-hero.php. 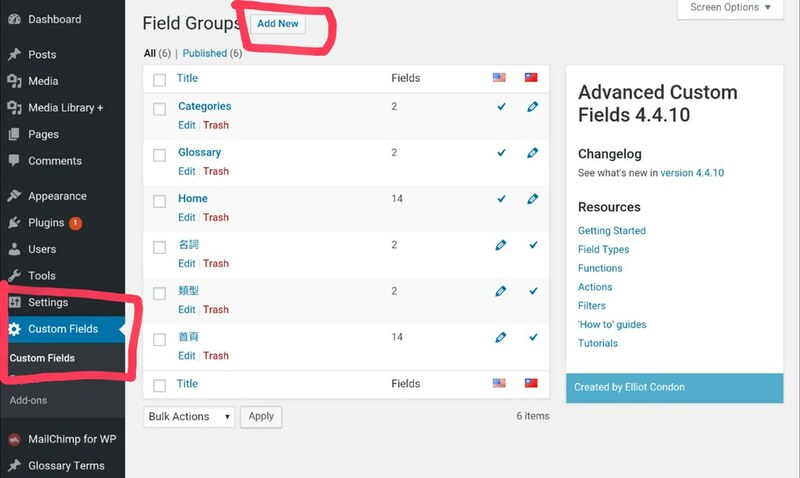 Create corresponding ACF fields in admin panel. 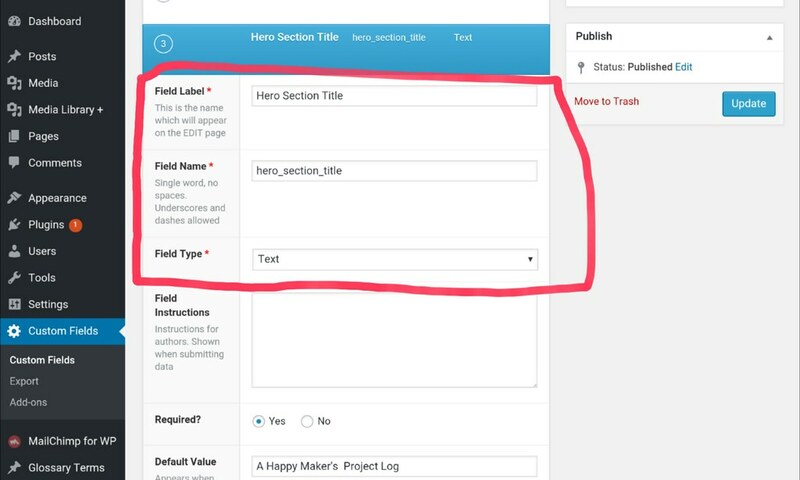 Assign the field to local variables like $hero_section_title . 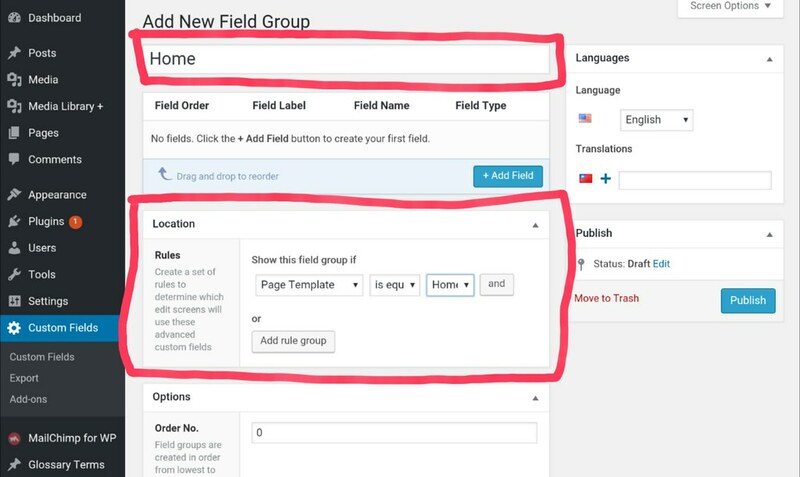 The parameter for function get_field() is the “Field Name” described below when we create fields in admin panel. It makes clear what fields you use in this template. It’s easier to change when field names change. Be aware of the $ sign: that’s the standard way in PHP to define a variable. Also be aware that these codes are within the <?php ?> bracket. Input an easily recognized title (eg: “Home”). 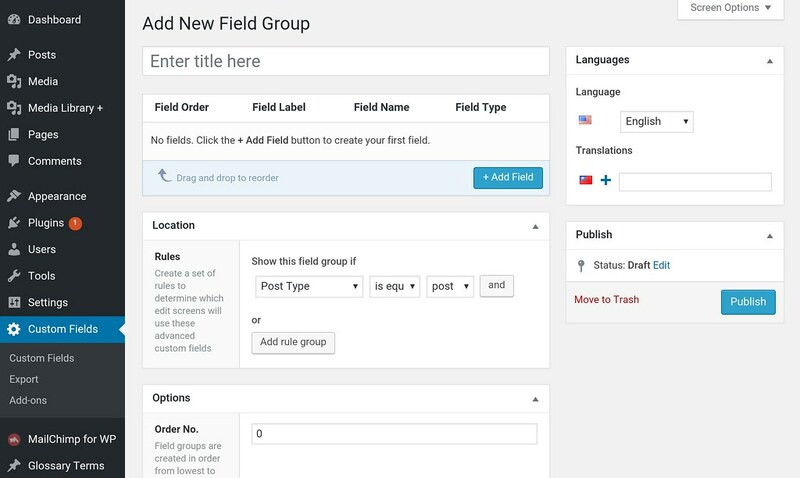 “Field Label”: enter easily recognizable name. Then “Field Name” should automatically appear. If not choose a name according to the rule. “Field Type”: select “Text” for shorter text like header text, and “Text Area” for longer text like paragraph text. Setting up other optional properties. Here is a brief explanation of the Bootstrap grid classes col-sm-6 : a small/medium column of length 6. col-sm-offset-3 : means it is offset from the left by 3. Since the remaining length is 12 - 6 - 3 = 3, this means that this setting center-aligns the column element. WordPress’ styling is in style.css. One can find it on my Github page. 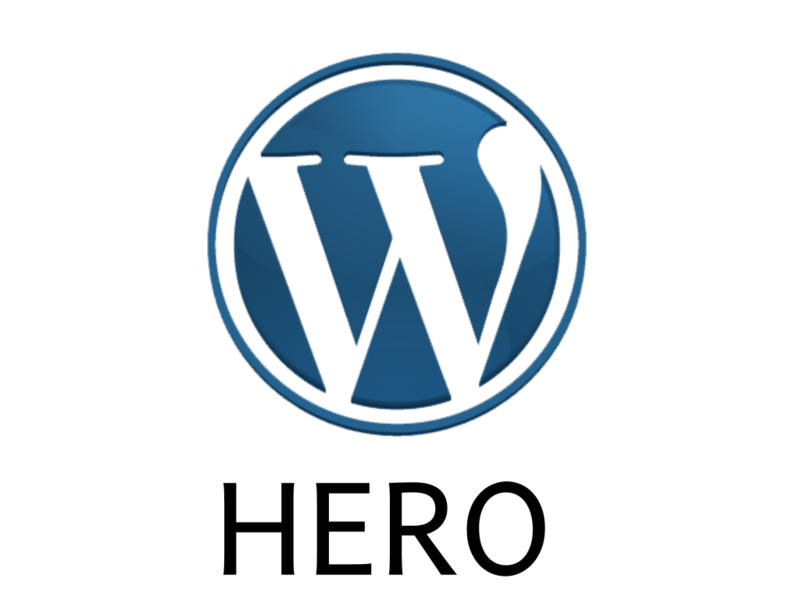 To find the styling specific to content-hero.php, try search for its classes like “hero” or “hero-content-overlay”. I specified a minimal height by the attribute min-height to have sufficient black background space. Using position: relative in #hero and position: absolute in .hero-content-overlay situates the text approximately at the middle of the black background.